Every gamer out there knows that successful franchises are the lifeblood of any big name publisher. Hell, they’ve been almost single-handedly keeping companies such as Capcom, Activision and EA alive for years! 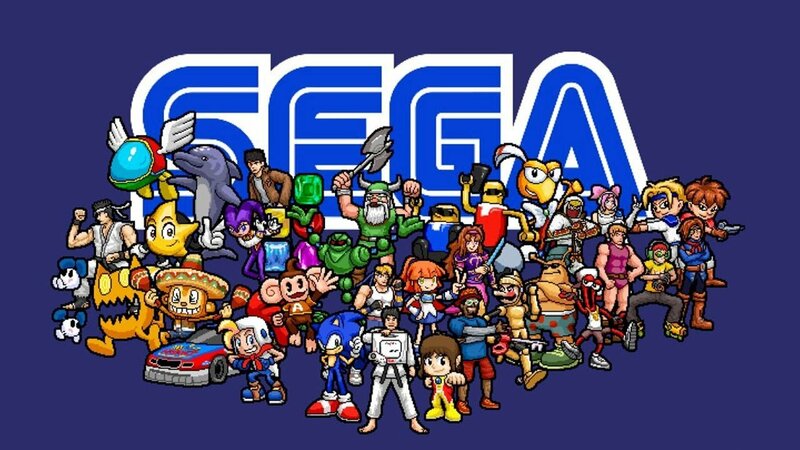 One of the oldest and most innovative companies in existence, Sega knows this as well as anyone. After all, these are the guys who publish Football Manager, Total War, Yakusa and a seemingly endless series of games starring a certain blue hedgehog. In recent years we have seen the resurrection of Shenmue, Wonder Boy, House of The Dead and Daytona USA among others. Then even more recently it was also announced they were bringing back Streets of Rage (praise the lord) and Panzer Dragoon (ok stop drooling now!). Given they have made such a good job of bringing back these games, including the first good Sonic in many years in the form of Sonic Mania, it makes you wonder what they could do with some other classics from their past. So let’s take a look at some of the many candidates, 10 of them in fact, and please let us know in the comments which ones you would most like to see return! Sega’s answer to the ever-popular Mario, Alex Kidd first appeared on its own Master System console back in 1986 in the excellent Alex Kidd in Miracle World. He would go on to become the poster boy for Sega’s impressive 8-bit machine starring in no less than 5 different games. That was until a certain blue hedgehog came onto the scene some 5 years later and changed everything for the little fellow. Alex Kidd just didn’t seem cool anymore, Sonic was the character all the kids wanted. After a single outing on the 16-bit Mega Drive it was game over for the Kidd and the character was soon forgotten about. In more recent years Alex Kidd has popped his big eared head back up again making several cameos in games such as Sega Superstars Tennis, Sega heroes and Sonic All-Stars Racing Transformed. A collection of his games has also appeared as a download for both Xbox 360 (with Xbox One compatibility) and PS3. With classic 2D platformers enjoying a real renaissance lately with titles like Super Mario Bros. U Deluxe on the Switch as well as Crash Bandicoot, Bubsy The Bobcat and Spyro the Dragon returning to our screens surely Alex Kidd deserves a chance to impress a new generation of gamers too? Long before Sonic or even Alex Kidd took the role as Sega’s official mascot, they actually had another character who was a whole lot different as their icon. The Fantasy Zone franchise stars a little fellow by the name of Opa-Opa, who takes the form of a cute little space ship with wings and feet. Unlike most other mascots, Opa-Opa didn’t appear in any platform games at all. In fact nearly all of his games were shoot ‘em ups set in a brightly coloured fantasy world. These were dubbed “cute ‘em ups” by the press of time due to their sickly sweet nature. The first Fantasy Zone game appeared in arcades in 1985 and was later ported to a host of home systems, including Sega’s own Master System, where it really made its name. It was followed by a series of sequels that culminated with the 1992 release of Super Fantasy Zone on the Mega Drive. Not long after the series was consigned to the Sega archives forever. In 2014 Sega chose to resurrect the first two games as part of its Sega 3D Classics series on the Nintendo 3DS to great acclaim. Surely after the positive reception of these rereleases we are due a new Fantasy Zone game aren’t we Sega? Sega Rally is definitely one of the newest franchises to appear on this list, first hitting the arcades in 1994. It’s also one of the freshest in people’s memories too with the last game, Sega Rally 3, being released inside this decade back in 2011. That certainly doesn’t make it any less worthy of appearing on this list though, especially with the resurgence of rally games as a genre. Recently we have titles such as Dirt Rally 2.0, Sebastian Loeb Rally as well as an official WRC game appear, not to mention the popularity of the Forza Horizon series. What’s more baffling about the absence of a new entry in this series is that the Japanese gaming giants have somewhat of a reputation for producing great racing games with titles such as OutRun, Daytona USA, Sonic All-Stars Racing and Super Hang-On amongst their vast back catalogue. With the advancements of online gaming there has never been a better time to bring Sega Rally back, think of a Forza Horizon type game but purely in a rally environment, that would be really sweet.